Our first 3D printers only printed ABS and PLA plastic. Yeah, we heard about PVA for support structures, but no one could get them to stick. There was also polycarbonate, but you had to have an all metal hot end with a fan to print that stuff. Now there’s a lot of variety out there: flexible, wood and stone, nylon, PETG, and more. If you are still printing with just the old standards, you might enjoy [all3dp’s] comparison chart of 30 different filament types–that’s enough for one day a month–well at least for four months. It is too many for February, and a day short for the rest of the months. In addition to a table, there’s a short write-up about each type of plastic, its characteristics, and its technical data. There’s even magnetic PLA (see video below) which, in addition to being magnetic, will actually rust in water which might be good for some artistic prints. We’re not sure why [lujji] would want to hack ST’s ST-Link programmer firmware, but it’s definitely cool that he did, and his writeup is a great primer in hacking embedded devices in two parts: first he unpacks and decrypts the factory firmware and verifies that he can then upload his own encrypted firmware through the bootloader, and then he dumps the bootloader, figures out where it’s locking the firmware image, and sidesteps the protection. [lujji]’s project was greatly helped out by having the firmware’s encryption keys from previous work by [Taylor Killian]. 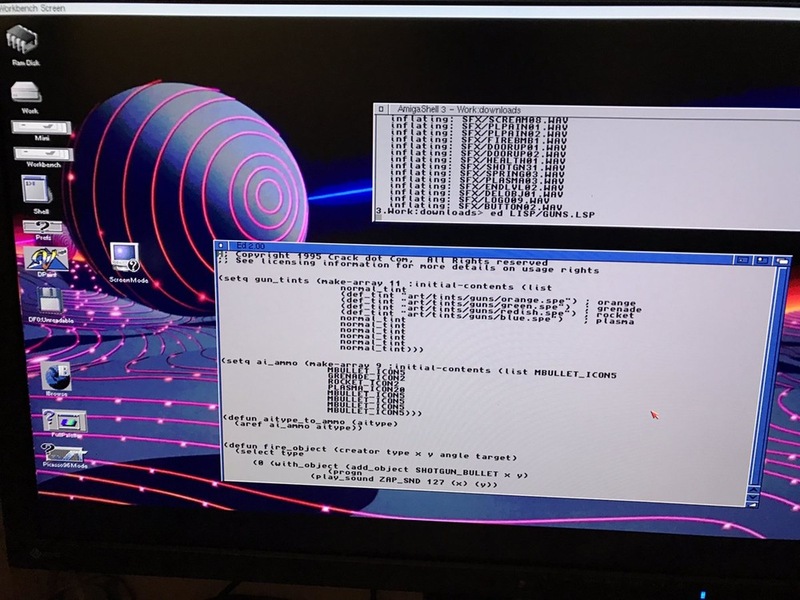 Once able to run his own code on an intact device, [lujji] wrote a quick routine that dumped the entire flash ROM contents out over the serial port. This gave him the bootloader binary, the missing piece in the two-part puzzle. If you’ve ever broken copy protection of the mid-1990’s, you won’t be surprised what happened next. [lujji] located the routine where the bootloader adds in the read protection, and NOPped it out. After uploading firmware with this altered bootloader, [lujji] found that it wasn’t read-protected anymore. Game over! We glossed over a couple useful tips and tricks along the way, so if you’re into reversing firmware, give [lujji]’s blog a look. If you just want a nice ARM programmer with UART capabilities, however, there’s no reason to go to these extremes. The Black Magic Probe project gives you equal functionality and it’s open source. Or given that the official ST-Link programmers are given away nearly free with every Nucleo board, just buying one is clearly the path of least resistance. But a nice hack like this is its own reward for those who want to take that path. Thanks, [lujji] for writing it up. Morse code, or CW, is a subject that divides the amateur radio community from top to bottom. For some it’s a faded anachronism, while for others it’s the purest form of the art. With it no longer in significant commercial or military use it is radio amateurs who keep it alive, and those for whom it is a passion devote considerable effort to its continuing use. With well over a century of history behind it there are a huge array of morse keys available to the CW enthusiast. From vintage telegraph keys through WW2 surplus military keys to sideways “bug” keys and modern boutique handcrafted keys, many operators will amass a collection for the love of it, and regularly use them all. Just one of the hand-drawn illustrations for this project. Other operators create their own keys, either crafting them from raw materials or using whatever materials they have at hand. Keys have been made from every conceivable piece of junk that will conduct electricity, and made contacts to all parts of the world. [H. P. Friedrichs, AC7ZL] has produced such a home-made key from surplus material, but it has nothing of the junkbox about it. He’s used the head actuator from a surplus hard drive as the arm of a straight key, and the result is an item of beauty. 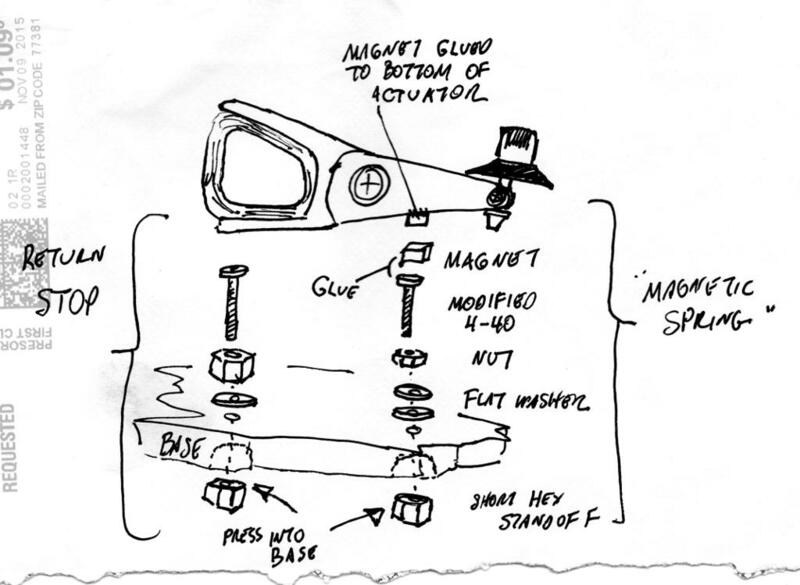 The actuator bearing is the pivot point, and the business end of the key replaces the hard drive’s heads. The spring is provided by the repulsive force between magnets, the connection at the rear is provided by a piece of guitar string, and the contacts themselves are taken from a surplus power relay. Even his write-up is a thing of beauty, a compelling read with hand-drawn illustrations. If you are not a Morse enthusiast it’s still an engaging project. We’ve featured many keys here over the years, and this isn’t the first one using a hard drive actuator, as this mint tin paddle shows. Among others we’ve linked you to a collection of unorthodox keys, and of course shown you a vintage telegraph key with a Raspberry Pi decoder.